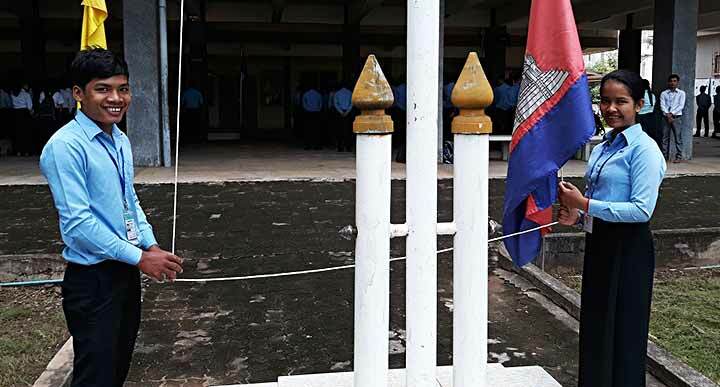 Phnom Penh, Cambodia, 15 October 2018 -- As is the case every year in the middle of October, the new school year begins in Cambodia, and such then is the case for the 14 Don Bosco Schools (SDB and FMA, both technical and academic). The mother house of the Salesians in Cambodia, in Phom Penh, opened in 1991 and since then more than 5400 young Cambodian youth (both young men and women) have received a solid preparation for life. Last Monday, October 15, the 160 first year students were welcomed for their orientation and start of the school year. This school is also the headquarters for the young THA - Cambodia Delegation established by the Rector Major in 2013, whose first Delegate is Fr Roel Soto. 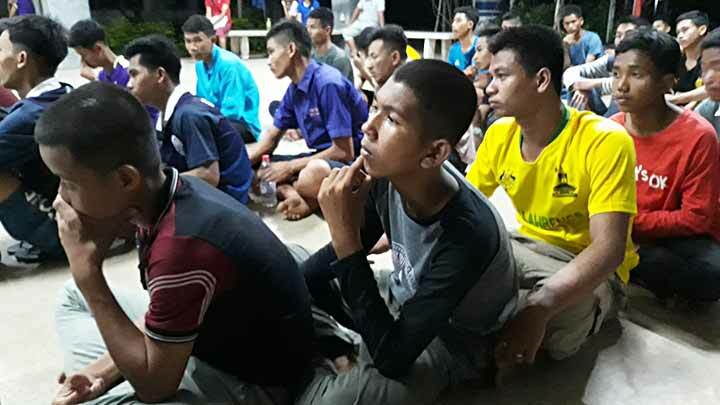 They experienced the excitement of the first good morning talk, their first time sleeping in the large dormitory of 100+ boys, the first time meeting friends from no fewer than 20 provinces of Cambodia and the family spirit of this large Valdocco of Cambodia. The 6 SDB strong community, with 60+ lay mission partners and 1000 registered Alumni is entrusted with the Technical School (500 students annually), a daily oratory (80 youth), Besucco Boys aspirantate (18 high school students), the quasi-parish of Mary Help of Christians (English Sunday Mass for the international Catholic community with 100 faithful on Sunday), boarding houses for boys (140) and girls (24),a local centre of Salesian Cooperators (17 members with promise) and Don Bosco Alumni centre. The large 5 hectare compound of Don Bosco is located in the 'New Phnom Penh' district, just in front of the famous Buddhist Pagoda and close to the center of the Apostolic Vicariate of Phnom Penh (Bishop Olivier Smitthauser, MEP). The welcome and orientation for 210 first year students was carefully prepared by the pastoral team of the school (Dr. Sok Aung led this team) with the leaders from 2nd year in the Oratory. There was an introduction to the Don Bosco preventive system of education, to the traditions of the school , also including greeting from the Alumni. 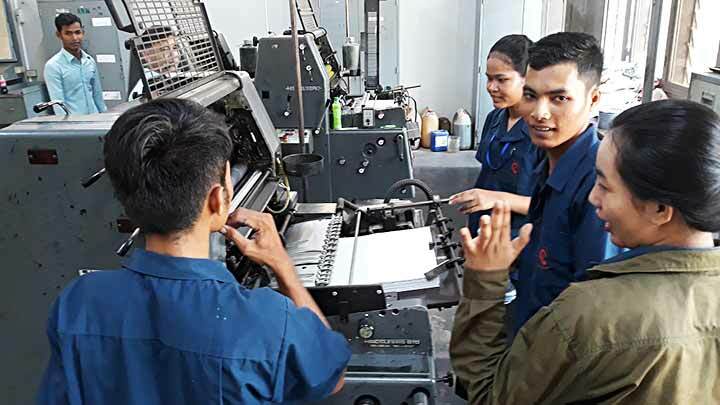 The EPC of the school is proud of 95% of employment after graduation, also thanks to the connection to some 173 companies in the capital, Phnom Penh. 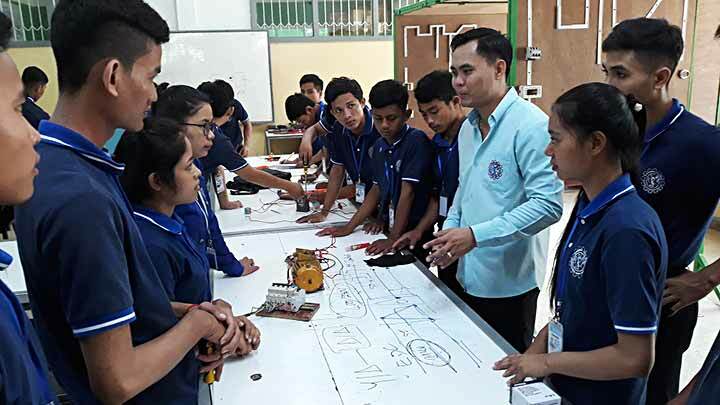 Although competitions among the technical schools in Cambodia is fast growing, the government is entrusting the new pilot projects of professional training to Don Bosco with great satisfaction. Amidst the fast-changing socio-political scenario of Cambodia the Don Bosco Technical School community is looking forward with hope. 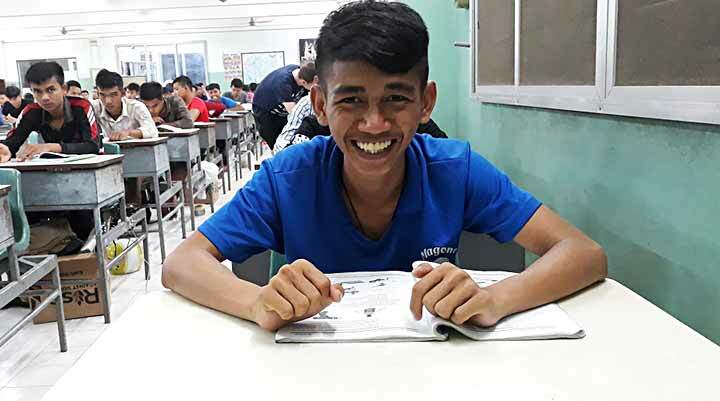 Don Bosco education has transformed the life of thousands of young people, and is like salt and light within Cambodian society undergoing a super-fast transition from rural society to the modern industrialized era over just a handful of years.